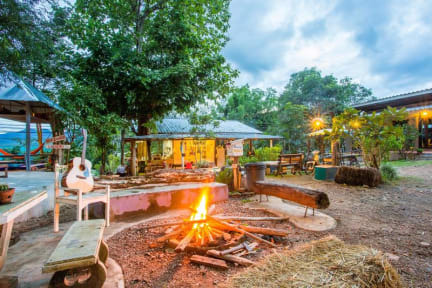 Nestled in the heart of Mae Hi, Baan Kati Sod is an ideal spot from which to discover Pai. The hotel is not too far from the city center: just 1.8 Km away, and it normally takes about 15 minutes to reach the airport. No less exceptional is the hotel's easy access to the city's myriad attractions and landmarks, such as Phra Tat Mae Yen Pagoda, Wat Phrathat Mae Yen, Wat Klang. 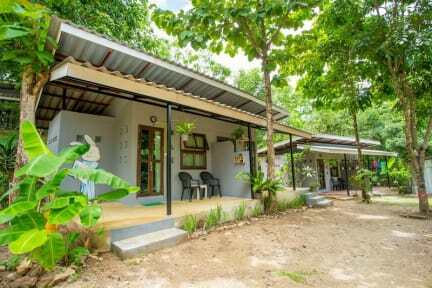 At Baan Kati Sod, every effort is made to make guests feel comfortable. To do so, the hotel provides the best in services and amenities. While lodging at this wonderful property, guests can enjoy free Wi-Fi in all rooms, 24-hour room service, express check-in/check-out, Wi-Fi in public areas, valet parking. The hotel features 7 beautifully appointed guest rooms, many of which include internet access – wireless, internet access – wireless (complimentary), non smoking rooms, desk, balcony/terrace. Throughout the day you can enjoy the relaxing atmosphere of the garden. - One child under 8 years stays free of charge when using existing beds.